Club Penguin Cheats by Mimo777 Club Penguin Cheats by Mimo777: Club Penguin Message: Rookie! ... 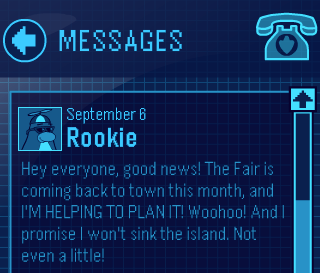 Rookie is helping plan The Fair. Yay! Super Snot Put. it tickles my mucus layer.